Not far from the slopes of mount bromo, Waterfall Madakaripura is nearby mount bromo. 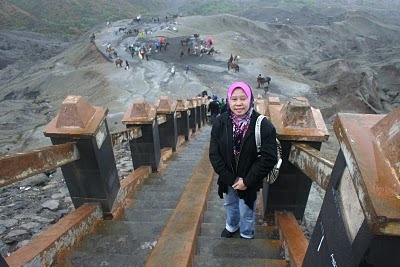 Its very fitting to complement to you from a tour of the trip to bromo, Surabaya. 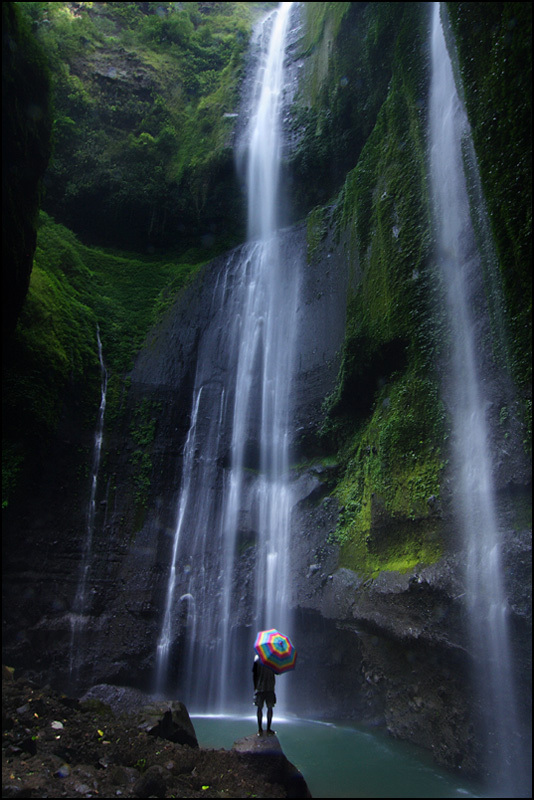 Madakaripura waterfall can e reached in 45 minutes, mount bromo. When they reached the entrance, visitors have to walk about 20 minutes to reach the waterfall complex. When you are here, please use an anti- skid slippers or shoes for climb your way to cheap wet slippery falls. On either side of entrance waterfall, visitors are spoiled by green cliffs clear river is very cheap. Located some 4 hour from Surabaya, the capital of East Java, Mount Bromo is part of the Bromo Tennger Semery National Park that covers a massive area of 800 square kilometers Whit it may be small when measured against others volcanoes in Indonesia, the magnificent Mount Bromo will not disappoint with its spectacular views and dramatic landscape. At 2392 meters tall, Mt Bromo is not among the tallest of Indonesia’s mountain but its stunning beauty lies in its incredible setting. From a vantage point on Mount Penanjakan (2770 meters above sea level) 2.5 hours from Malang. Visitors from around the world come to see the sunrise over Mt Brom. From this spot the vista is magnificent. All you will hear is the click of cameras as visitors snap their camera’s hoping to capture the incredible scene of Mt Bromo in the foreground with Mt Semaru Smoking in the distance and the sun shining brightly, quickly rising in the sky. The Eerie landscape has spurned countless legends and myths. Mt Bromo has particular significance for the Tengger people who believe that this was the site where a brave prince sacrificed his life for his family. The people here appease the Gods once a yeas during the annual Kasada festival where offering of vegetables, chicken and money are thrown into the crater of the volcano. The temperature at Mt Bromo ranges from 3 to 20 degrees Celsius but the temperature may be several degrees below zero during the dry season. It you can’t stand cold weather, you should bring a jacket, gloves and a head cover or cap. After the sun rises, the weather becomes hot pretty fast. never forget to bring a camera so you can capture the natural beauty.